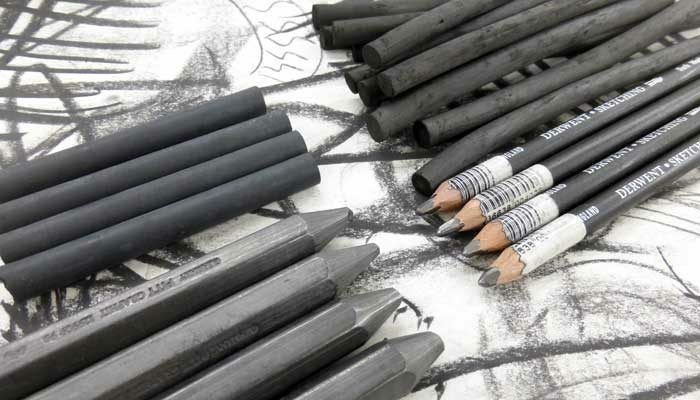 Discover the freedom of drawing with willow charcoal, the emotive power of compressed charcoal, the joy of gestural mark making with graphite, and the closely observed details you can achieve when drawing in pencil. Improve your use of tone, shading and blending with putty and plastic erasers, and other techniques to give you a greater sense of creative freedom and self expression. Perfect for all students who wish to learn the expressive qualities of working in monochrome tones in a variety of materials allowing breadth of vision to detailed studies. During the morning students will learn about the freedom of willow charcoal through demonstrations and exercises. This will be followed by a creative project designed to give students the opportunity to experiment and discover the expressive freedom of drawing with willow charcoal and develop their skills in developing tone and shading. Students will be supported with lots of 1:1 tuition as well as group critiques. The afternoon session will give students the opportunity to compare the qualities of drawing with compressed charcoal which offers the ability to create more powerful and dramatic drawings. Students will be given a demonstration and work through exercises to learn the basics and then move on to a creative project to allow them time to fully explore the potential and drama of compressed charcoal. Day 2 begins with a demonstration of how to draw with graphite sticks. After a short exercise students will complete another creative project allowing them time to experiment and explore with 1:1 support and guidance. 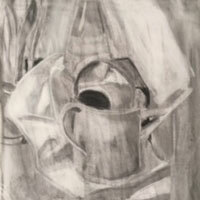 In the afternoon students will be shown how to use pencils and master careful toning, blending and shading. Demonstrations and exercises will be followed by a creative project.